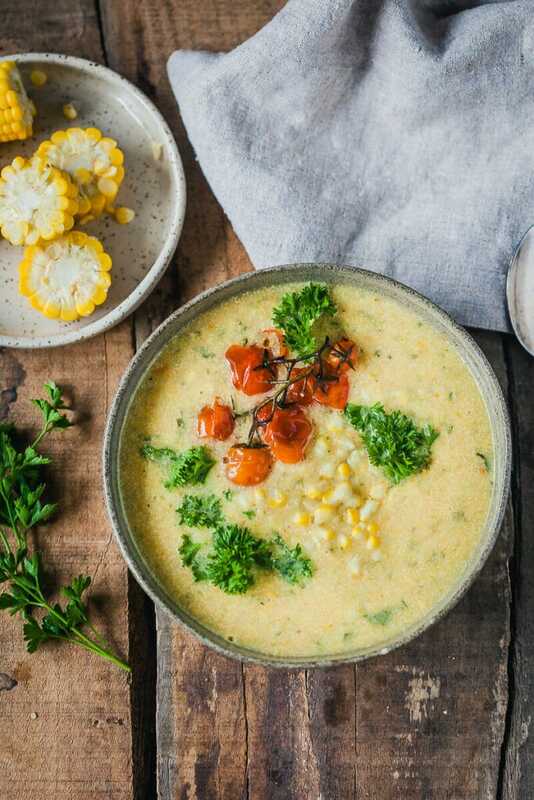 This Zucchini Corn Chowder is packed full of veggies, creamy and filling. And it's vegan and gluten-free! The last of the summer recipes, I am afraid. 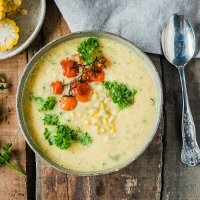 I just happened to get my hands on some of the last ears of corn in the store the other day and just knew a chowder would be the way to go. So as the tree leaves turn yellow, so do my dishes 🙂 After the initial cold start of Fall, we’re now having warmth again and an Indian Summer. It’s really beautiful to enjoy the sunshine and observe nature change colors. So sad that this will not last. Soups also returned to my menu, and I’ve eaten my fair share these past days. Sometimes I am just genuinely happy there is anything cooked and ready to eat in the fridge at all. I’ve been really busy. I have not sat down to enjoy a couple of hours to myself in weeks. It’s just working, running around, doing chores and then working some more. So soups are a real savior these days, especially because I can just make a big pot of it and have it for 2,3 or even 4 meals. Is that weird? 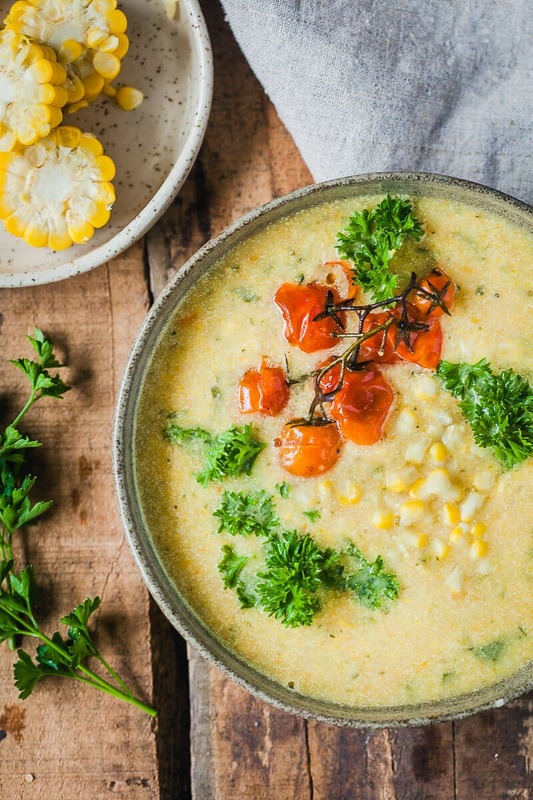 This Zucchini Corn Chowder is just the kind of soup for Fall. 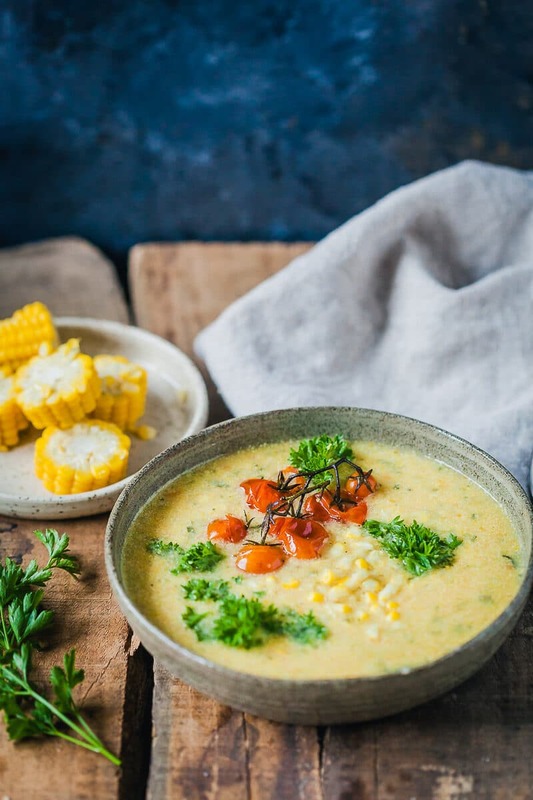 Packed full of veggies, creamy and filling, as the fiber in the corn will keep you fed for a long time. And it’s vegan, dairy-free and gluten-free, which is always a plus!